filled mountains and deep lakes—Coeur d’Alene and Pend O’Reille—fill the panhandle of northern Idaho. 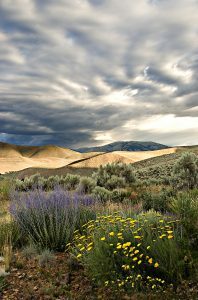 Rolling hills of fertile earth and high plateaus of camas and the tribal lands of the Nez Perce comprise the large batholith of central Idaho. 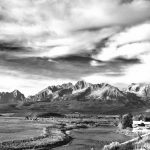 From there, the land turns to high desert and more mountains, this time the granite peaks of south central Idaho, and the Stanley Basin, where the Salmon River begins its flow to the north as the River of No Return. Farther south lies more farmland irrigated by the Snake River. In the mid to late 1800s, thousands of settlers arrived in Idaho, both north and south, mostly searching for gold, which they found in abundance for a short period. When the ready gold played out, only the hard rock miners stayed, digging deep for lead, silver and zinc with tunnels and shafts into the mountains and rock crushers and smelters on top. 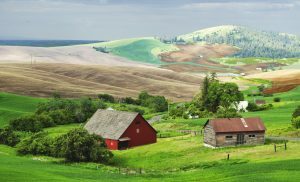 Loggers cut the forests and farmers settled the fertile Palouse area in north central Idaho, and their winter wheat farming continues to this day. My mother’s family arrived here in the 1870s, on their way to Oregon. My forebears cleared sagebrush from the town square, claimed land for settlement near by, worked in the mines of the Wood River Valley and freighted supplies to other mines north and west of the Stanley Basin, where they also spent summers searching for valuable metals. I was raised in the mining town of Kellogg, in Idaho’s panhandle. Although I left Idaho to attend school and law school in Seattle, Washington, Idaho has always been the home of my heart. I now live here again, this time in Hailey, a south central town located near the first American destination ski resort: Sun Valley. Skiing has been and still is a passion of my husband and me. My first book is a memoir of place: The Good Times Are All Gone Now: Life, Death and Rebirth in an Idaho Mining Town (University of Oklahoma Press, 2009). This book won Honorable Mention in the 2009 Idaho Book of the Year Award. Nearly all of my writing—short stories, essays, and books—has been about Idaho and the stories I learned from my own family, as well as from the miners and characters of my home town and the towns of Hailey, Ketchum, and Stanley, and research. The beauty of the state has influenced my characters and me, but so have the fierce landscapes, the outdoors, the mining, the prejudices of the state’s people, the sheepherding, and the contrasts reflected in its geography. My next two books are mysteries, set in the 1920s in the high desert and mountains of central Idaho. Nellie Burns, a photographer, comes to Idaho from Chicago and is based on an early woman photographer in the panhandle. Her black Labrador dog, Moonshine, fits right in with all the dogs of Ketchum. 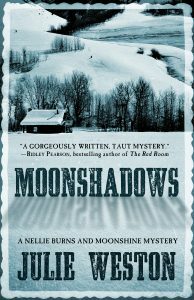 The Chinese characters; Rosy, a one-eyed miner; Charlie Asteguigoiri, a Basque sheriff; and Goldie, owner of a boarding house, could have stepped right out of the streets of Hailey and Ketchum, where the action takes place, in MOONSHADOWS (Five Star Publishing, 2015). Kirkus Reviews said: This debut mystery from Weston authentically portrays the gritty mining towns and the wild beauty of Idaho while presenting a challenging puzzle. Ridley Pearson called it “A gorgeously written, taut mystery.” It was a Finalist in the May Sarton Literary Award and True West Magazine named it Best of the Rest in mystery. 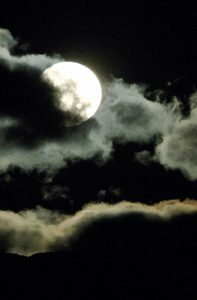 Nellie and Moonshine and the sheriff are now embarked on an adventure in Craters of the Moon, a national monument since 1924, finding bodies and terror in caves and desolate lava fields, in the third mystery, still in process. All photographs, including the cover photos, are by Gerry Morrison. To enjoy more of his work, visit www.gerrymorrisonphotography.com . The painting on the cover of my memoir was done by my mother, Marie Whitesel, in 1961. 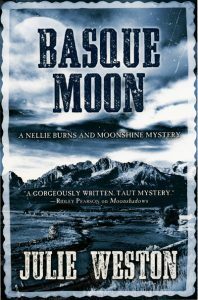 This entry was posted in Uncategorized and tagged Basque Moon, Boise City, Idaho, Kellogg, Kirkus Reviews, May Sarton Literary Award, Moonshadows, Palouse, Sun Valley by JulieWeston. Bookmark the permalink. Thanks for the update Julie. My husband, Ray & I enjoy your work & plan to order Basque Moon. We connected some time ago regarding “growing up in Kellogg”. We are now subscribed to your site. Hi Janice, So nice to hear from you! And welcome to my website!